Over the years, Thailand has grown very popular as a tourist destination. 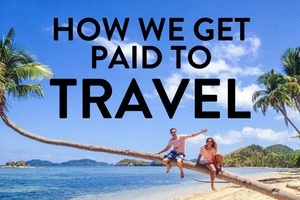 More and more people have decided to travel here for one reason or another. This doesn’t come as a surprise as the country offers plenty of exciting things to see, eat and do. From beaches to ancient temples, it is no wonder this place is frequented by many. 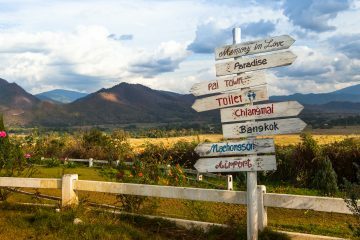 Once you’ve decided to travel to Thailand, you’ll want to start thinking about all the essential must-visit places! When visiting Thailand, chances are, Bangkok is where you will first land. If you want to get a glimpse of the incredible Thai culture, make the most out of the countries many ancient temples and historic attractions. While there is never a dull moment in Bangkok, no trip there is complete without visiting the Grand Palace. The Grand Palace is a collection of buildings, which served as the home for the Kings of Siam. The palace’s construction was initiated in May of 1782 which makes it one of the most historic buildings in the entire country. Even if you’re not a history buff, you’ll definitely want to consider visiting this place while in Thailand as it is full of useful information to help you understand more of their culture. Chiang Mai is one of those places that you either love or hate. Located up in Northern Thailand, this sprawling city surrounded by mountains is an awesome getaway from the hustle and bustle of Bangkok. While the old town has heaps of temples and historic things to do, if nature if more of your thing, I recommend doing the Doi Suthep Monks trail which is a relatively easy 3-hour hike taking you to the top of the highest temple in Chiang Mai. The food in Northern Thailand is also some of the best in the region and one of our top Thailand travel tips is to go and eat in as many street food markets as you can. Are you interested in stepping back in time and learning more about the history of Thailand? If the answer is yes, you’ll definitely want to visit Wat Pho. Located in Bangkok as well, Wat Pho just happens to be one of the oldest temples in the entire country. 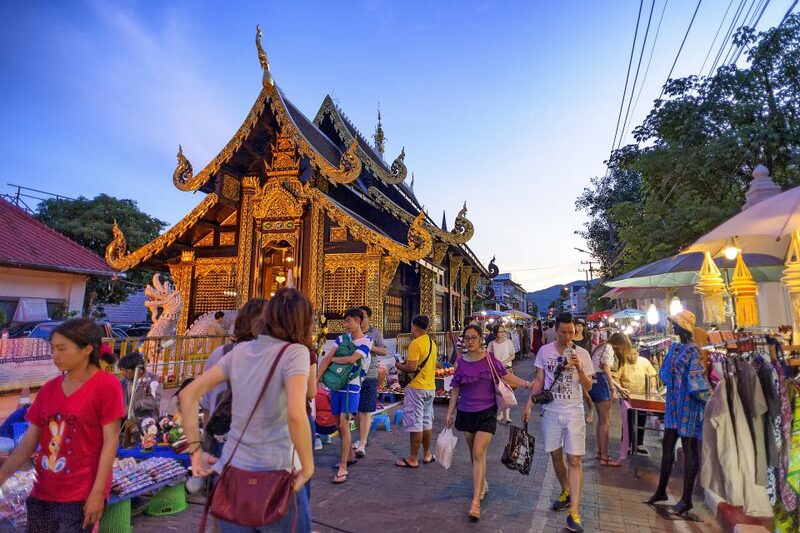 The Buddhist temple has quickly become one of the country’s hottest tourist destinations and is definitely one of the most recommended things to do in Bangkok. If you find yourself in Thailand, you’ll definitely want to check it out. 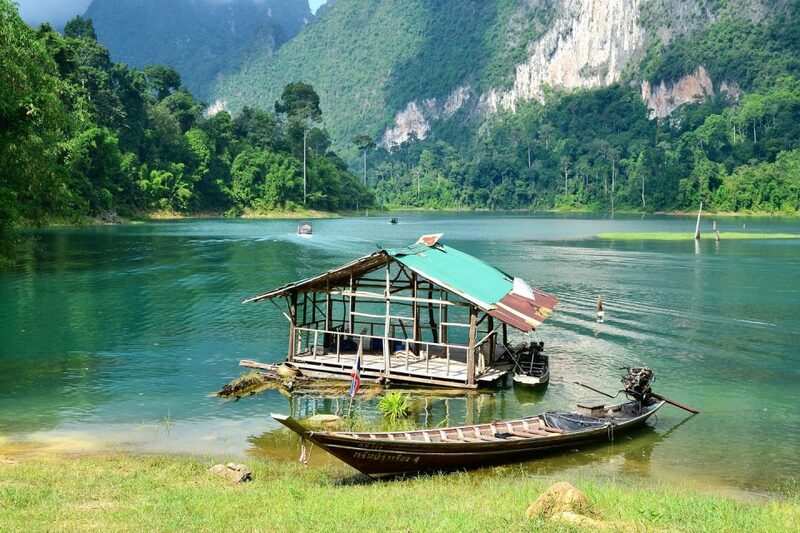 Many people do not know it, but Thailand is actually full of amazing landscapes and mountains. 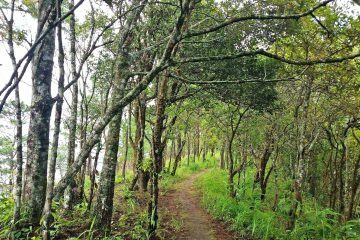 If you want to see the best of Thailand’s mountains, you’ll definitely want to pay a visit to Khao Yai National Park. This park is located in the western portion of the Sankamphaeng Mountain Range. The highest mountain in the park stands 1,351 m high and is incredibly mesmerizing. When visiting the park, you will find that there is plenty to see and do from hiking, taking photos, or just watching out for wildlife which is plentiful and abundant in the park. If you want to tour Khao Yai National Park or Thailand in general, check out the tours at ExoticVoyages. 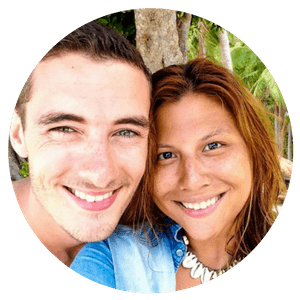 Are you looking for a great place to spend an entire week in Thailand? If so, you’ll definitely want to plan a trip to Khao Lak as it is one of the best places to visit in Thailand. This region is comprised of various villages with most of them located in the Takua Pa District. This location is really the best for tourists as it is home to some of the greatest beaches in the entire world. Plus, it isn’t far from the Phuket International Airport which makes it a convenient destination while in Thailand. 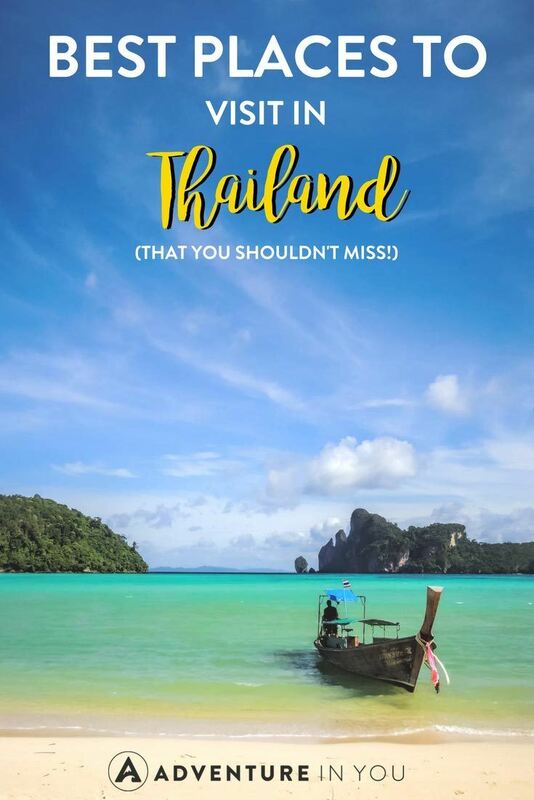 Editor’s Note: Planning a Trip to Thailand? Check out our Guide on What to Pack for Thailand. Hands down, Pai in Northern Thailand is one of my favorite places in Asia. This hippy-like little village is the ultimate chill zone where you can relax and unwind. Surrounded by loads of beautiful nature, while you’re here, don’t forget to visit the Pai Canyon and the waterfall hikes nearby. Enjoy the night market by the Walking Street where you can eat loads of delicious street food and handmade accessories clothes. Look out for the lady serving fresh spring rolls with peanut sauce- it’s the bomb! If sunny beaches and lively parties are what you’re after, I recommend that you make your way to this island. Contrary to what people think, there are heaps of things to do in Koh Phangan so be prepared. From snorkeling, island hopping to island parties, there are loads of fun places to visit. Regardless if you are up for a full moon party or not, the island is fairly large so we highly recommend exploring it. Renting a scooter is something we highly recommend but before you rent one, make sure you have the proper travel insurance for it. 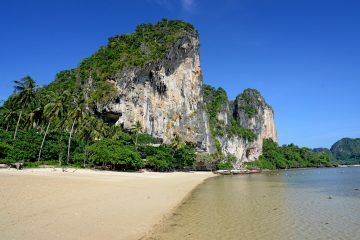 Last but not the least is the small island of Koh Tao to experience some of the best underwater marine life in Thailand. Popular amongst travelers for snorkeling and diving, do not miss out on visiting this incredible place. Home to also some of the cheapest rates in Southeast Asia to become a certified Open Water Diver, this place is frequented by many. There are a few dive and snorkeling destinations nearby which is why island hopping around the nearby islands is super popular. 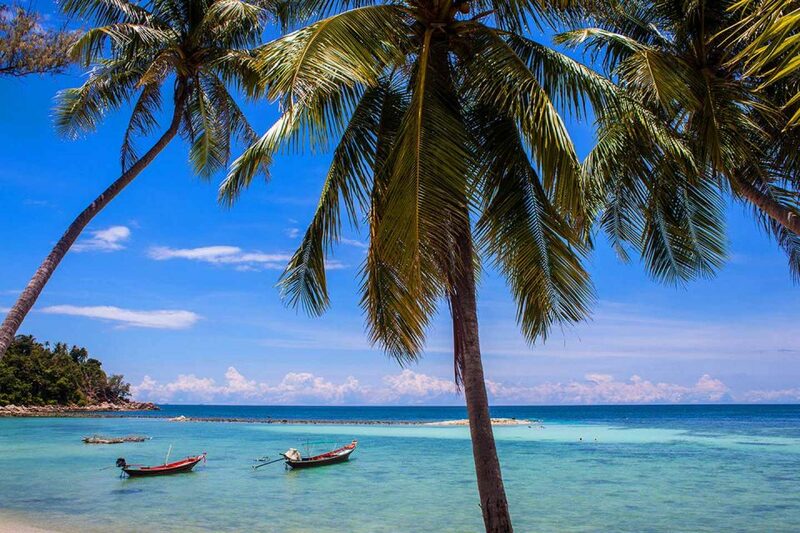 After a visit to Koh Tao, you will soon find out why it is home to some of the best scuba diving in Thailand. 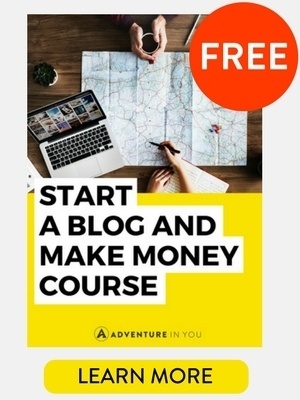 While there are heaps more incredible places to recommend when it comes to Thailand, I am only scratching the surface with these recommendations. 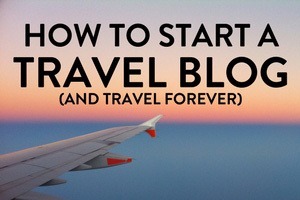 Hopefully, though this article has given you a few ideas on where to go and how to start planning your trip.